MURDERED: Christine Chuniesingh, strangled by a man who later surrendered to police and admitted his crime. 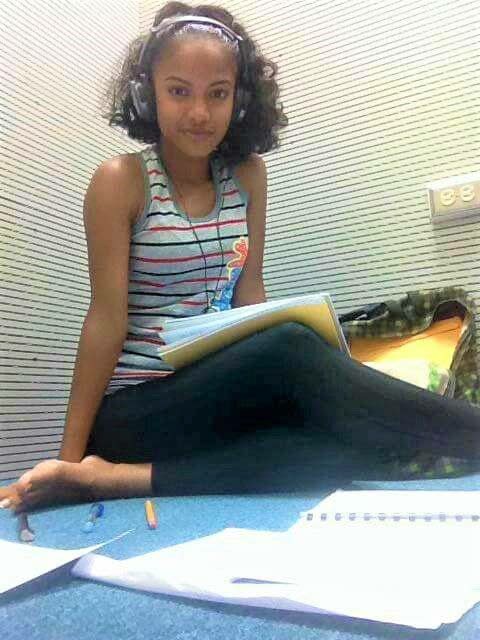 Christine Chuniesingh, 20, who was strangled on Tuesday afternoon, was not just another statistic to her friends, co-workers and and fellow schoolmates; she was a ray of light which has now been snuffed out. While relatives yesterday remained mum on her death, friends of the university student described her as a dedicated and talented young woman who aspired to become a flight attendant, after finishing her degree in music at the University of the West Indies (UWI). Relatives at the Forensic Science Centre (FSC) were too distraught to speak to the media as they awaited the results of an autopsy yesterday. However their actions spoke louder than their refusal to speak, as they were seen sobbing and consoling each other at the entrance of the FSC. Friends and schoolmates took to social media yesterday to express their pain over their loss. A schoolmate yesterday told Newsday that Chuniesingh was studying music and played the clarinet. She was also a part of the Curtis Jordan Coaching Academy Choir and was supposed to sing backup in a church choir at the Faith Assembly International Church at Five Rivers Junction in Arouca this Saturday. She paid for her tuition by working at Home’s Restaurant in Arima as a clerk. According to reports, at about 12.30 pm, the 26-year-old man of KP Lands, Valencia and Chuniesingh were at a house on Hillview Road in Arima when they got into an argument. It turned physical and the man grabbed her by the throat and choked her to death. It was reported that the man went crying to his aunt’s home, where he confessed to killing Chuniesingh. Reply to "Friends mourn Christine’s death"